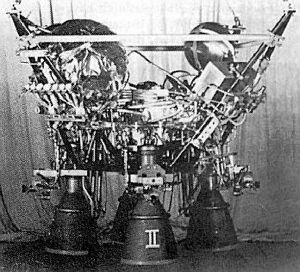 Beijing Wan Yuan LOx/LH2 rocket engine. In development. Gas-generator turbopump. Gimbaled engine. Used on CZ-3 launch vehicle. First flight 1984. Status: In development. Number: 52 . Thrust: 11.00 kN (2,472 lbf). Unfuelled mass: 236 kg (520 lb). Specific impulse: 425 s. Burn time: 800 s. Diameter: 0.56 m (1.85 ft). Chambers: 4. Engine: 236 kg (520 lb). Chamber Pressure: 25.90 bar. Area Ratio: 40. Thrust to Weight Ratio: 4.76694915254237. Oxidizer to Fuel Ratio: 5. Coefficient of Thrust vacuum: 1.52315501106282. Country: China. Launch Vehicles: Chang Zheng 3. Propellants: Lox/LH2. Stages: CZ-YF-73. Agency: Beijing Wan Yuan.